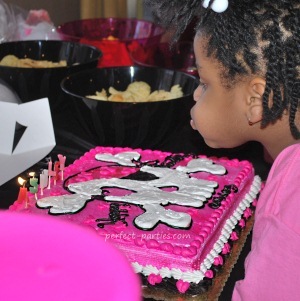 Pirate Birthday Party Ideas for kids. This is a favorite for both boys and girls alike. 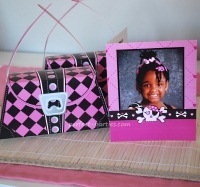 This is such a fun theme with so many cute possibilities! Girls can do a pink and black color theme and boys red and black. 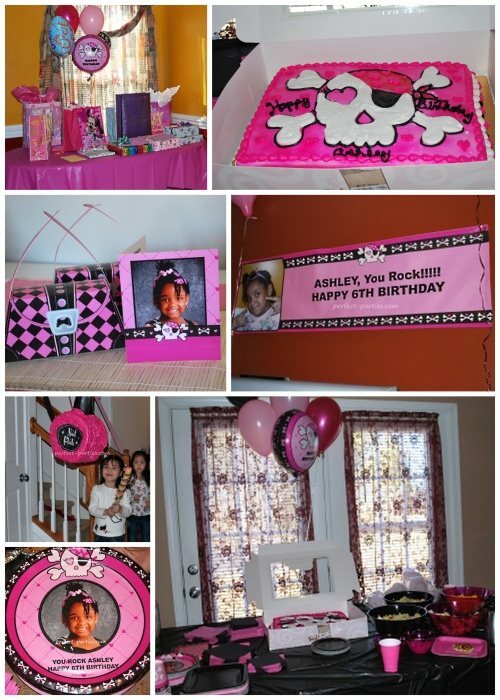 Make party planning simple by ordering items from Celebrate Express The cute pink and black birthday decorations and party items are from Celebrate Express. Seeing these items first hand from Celebrate Express was great. They were well made and cute! 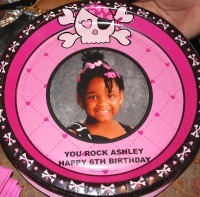 Dress up for your pirate birthday party! Make sure to take a lot of pictures. Eye patches, colorful bandanas, play swords for older kids are all easy ideas. Take a look at the cool personalized banner above in photo from Celebrate Express. What a great birthday keepsake. You could even have everyone attending sign this Personalized Birthday Banner . Select your theme colors. Usually two colors works best. Some suggestions are black, gold, white, blue, green, orange, red and pink. Pink, red, white or black tablecloth. Decorate tables with gold wrapped chocolate or gold colored plastic coins, shells, costume jewelry, rhinestones. Small buckets with sand and "treasure" sticking out of it. Here's cute idea for party favors. 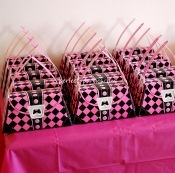 Pink Skull Favor Purse Kit Fill with small favors or a fun idea that this party offered was favors that the children picked out and filled their Purse with. Rings, bracelets, necklaces, eye patches, spy glasses. Need more small party favors? See Birthday in a Box for additional ideas. Watermelon Fruit Boat. Cut watermelon in half, scoop out middle with a melon ball scoop. Return melon balls and add other cut fruit. Click on the picture to see a larger photo of the cake and some tips for making them. 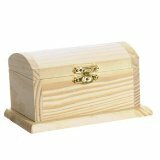 Decorate a treasure chest. Paint and glue on rhinestones, glitter or if you have time to let it dry you could decoupage this with mod podge. Send home a few treasures inside and make it the "goody bag." Fill a sand table with clean dry sand. Bury plastic bracelets, toy watches, costume rings, plastic gold coins and other small trinkets you can get at crafts stores, dollar stores or any store with a toy or party section. Use a sand shovel or a sand sifter and let each child find a few treasures to take home as party favors. Set up a 2 x 4 and have kids "Walk the Plank". For fun put plastic crocodile figures under or a blue tarp (ocean) under the plank. 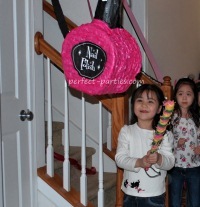 Pinata's always bring a lot of excitement and children love scrambling for the small treats and toys inside. This too was from Celebrate Express. It was well made and it took quite a few swings to open it!